Just saw his poll numbers. There are only two mayoral debates scheduled between now and Election Day on November 5. 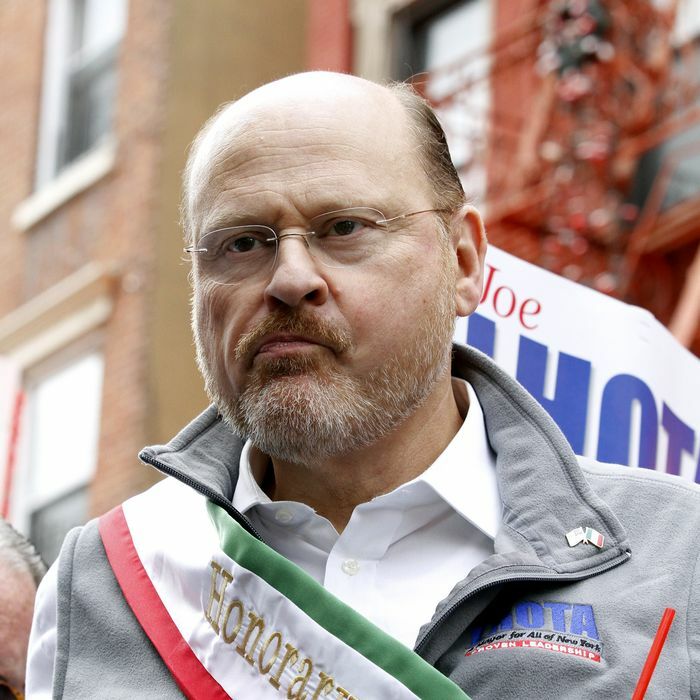 But this afternoon, Joe Lhota called on Bill de Blasio to participate in five debates, one in each borough. Five debates doesn’t sound like a lot compared to, say, the 2012 GOP presidential primaries, but it would be a vast departure from the recent history of New York mayoral races. There were two debates each in 2009, 2005, 2001, 1997, and 1989, one debate in 1985, and zero debates in 1993 (“Giuliani and Dinkins could not agree on the terms“). The Lhota campaign says that the proposal “is an outgrowth of his pledge to increase communication between City Hall and the public if he’s elected.” But, in reality, Lhota is down by 40 points in the polls (as confirmed by a new Quinnipiac poll today) and is still entirely unknown to vast swaths of the electorate, so he’s desperate for the exposure that televised debates would bring. Bill de Blasio is just as keen on limiting Lhota’s exposure (and his own opportunities to commit some kind of heinous gaffe), so there’s basically no chance this will happen.